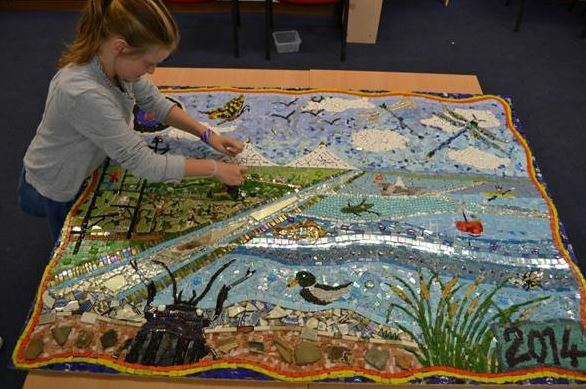 Over the past three months members of the public have been working alongside professional artists Carolyn Ash to produce three stunning mosaic murals depicting the Ouse Washes landscape. The murals will be installed at the three sites where they were created, Mepal Outdoor Centre, Denver Sluice and Welney Wetland Centre. However, before the go off to their permanent homes there is a special chance to see all there together on Sunday 16th November from 10am to 3.30pm at WWT Welney Wetland Centre. 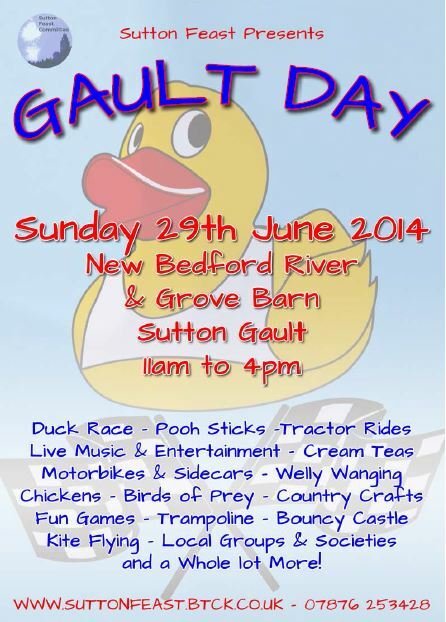 This will also be an opportunity to meet Carolyn, see a display of photos of the murals being created and to enjoy a host of activities being offered that weekend as part of the centre’s Festival of Swans. The murals were created as part of the Ouse Washes Landscape Partnership scheme, and funded by the Heritage Lottery. The scheme was established to raise awareness and encourage greater local engagement with the washes. If you are looking for something to occupy your time over the next couple of weeks in the Ouse Washes area, you probably need look no further than the Willingham Feast 2014. With everything from a Feast Market to a Ceilidh and from a live music night to an exhibition in commemoration of World War I, there will be something for all interests. 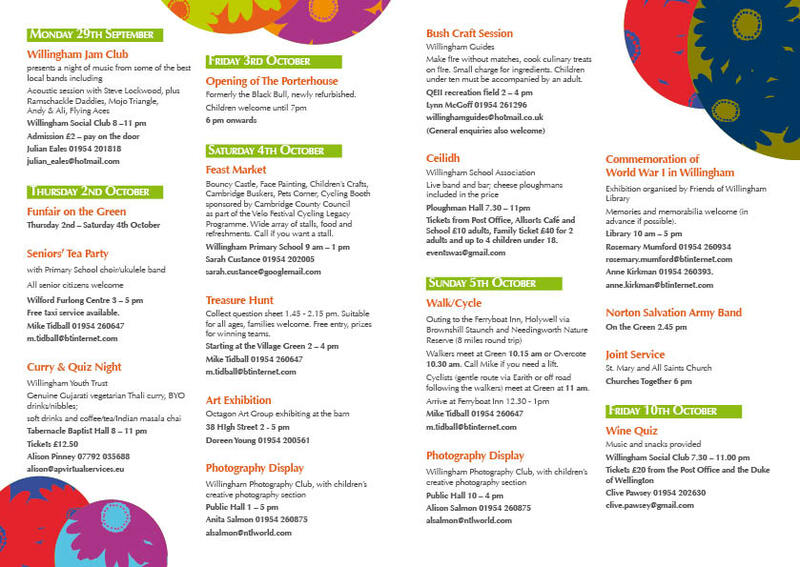 The full programme of events is on the Willingham Life website, with a copy of the schedule below. 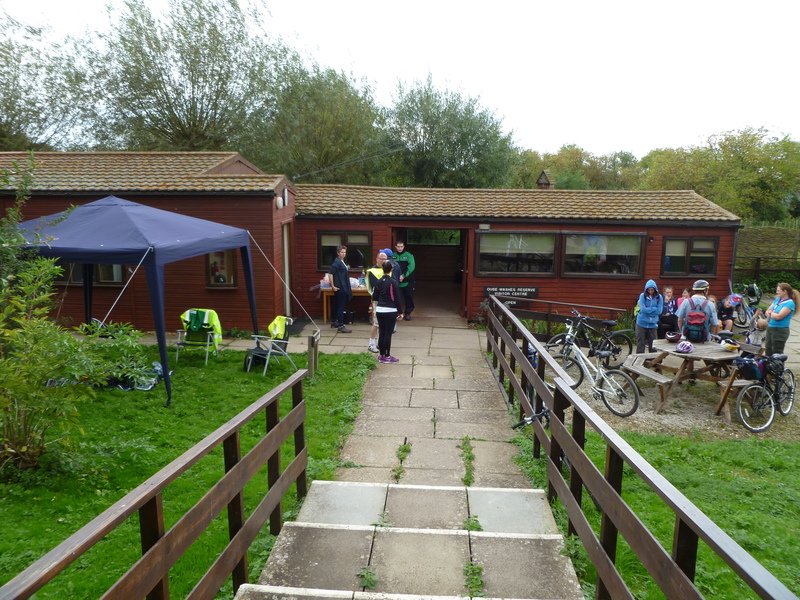 This Sunday the long-awaited Ouse Washes Experience was held, a cycle, walk or run from WWT Welney reserve to RSPB Welches Dam. What a great day it was! 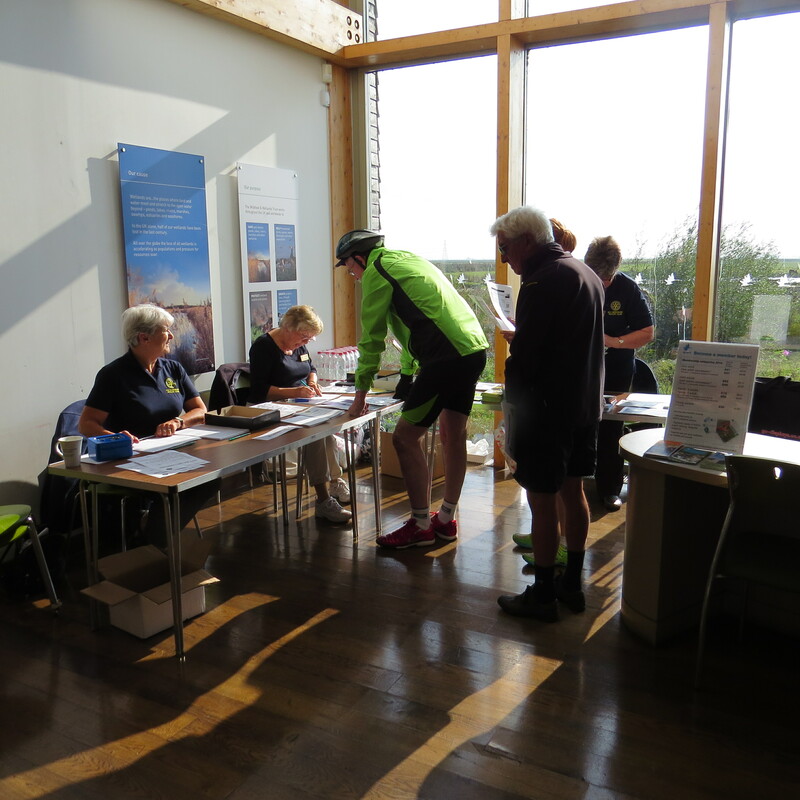 My colleague Abby was there all day with display and leaflets at WWT Welney, and then helping the main organisers, the Ely Hereward Rotary Club, with serving participants some well-deserved teas and biscuits at the end of the journey. A total of c. 60 people participated, mainly on bicycle, some groups walking and a few runners. Not bad at all for an entirely new event and for an area where similar events have simply never been organised before. All in all, a great day out in the countryside, getting people to see a part of their world most participants had not seen yet (but, according to the people I spoke to, they certainly enjoyed!). I also joined an interesting discussion with MP Steve Barclay who showed up in the morning at WWT Welney; he commented on how great such initiatives are for getting people to use the countryside and explore the wonderful landscape in this area. 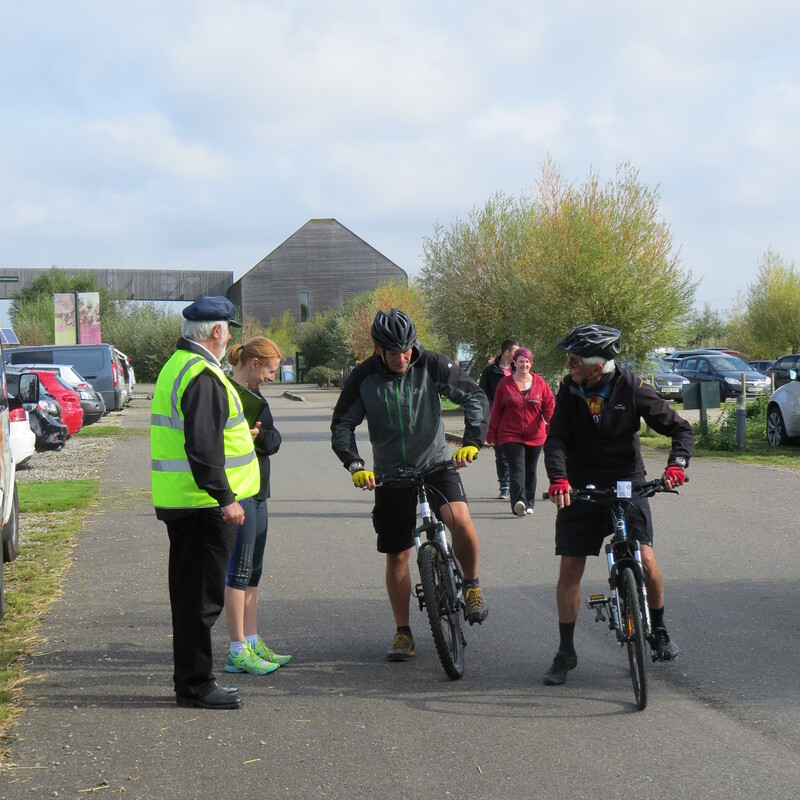 I did the c. 6 mile run myself as well, on the Environment Agency maintenance track (specifically opened up for cyclists and walkers for this event) and partly on top of the bank along the Ouse Washes itself – great views over the landscape and a wonderful tranquil experience. Well done everyone and all organisations who have made this event possible – see you again next year! 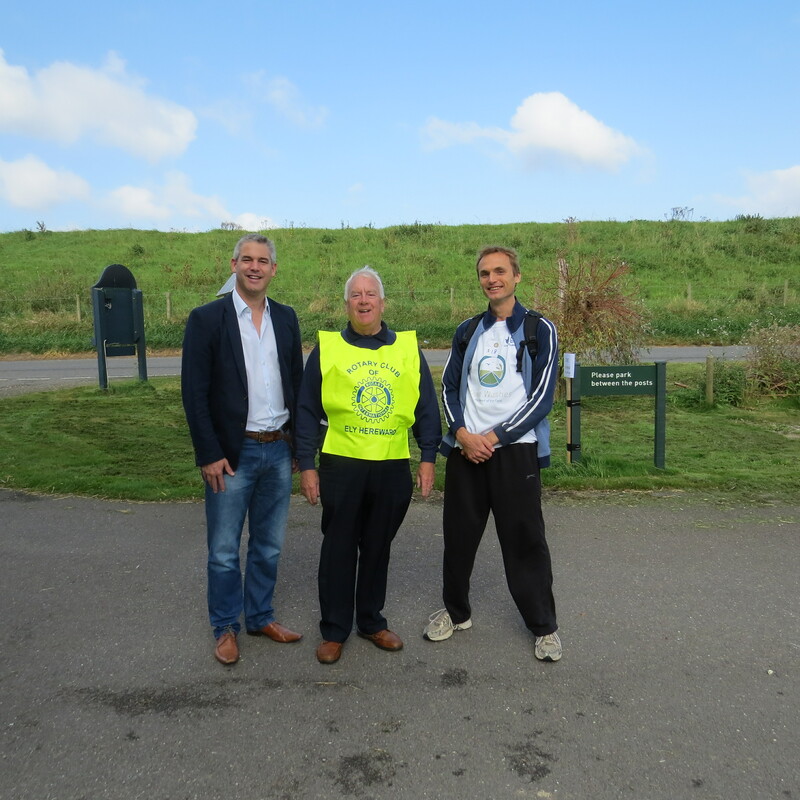 MP Steve Barclay, John Yates (Ely Hereward Rotary Club), and myself, ready to run. 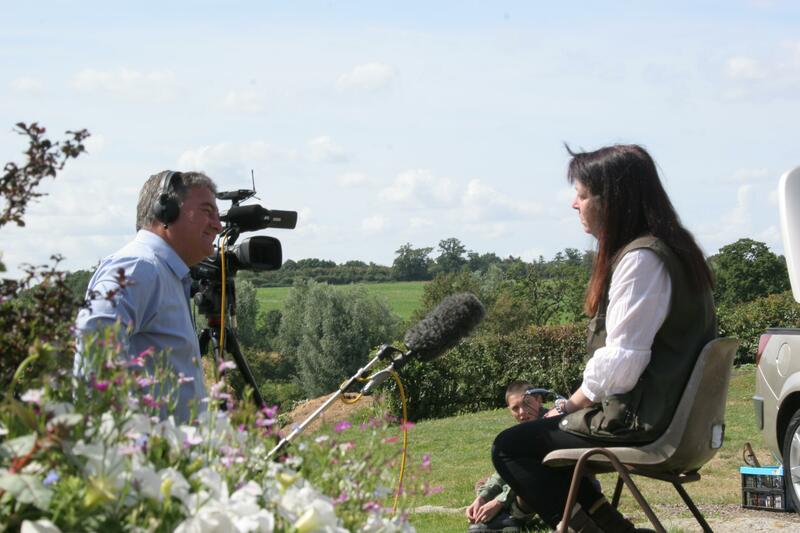 Image: Emma Brand, WWT. 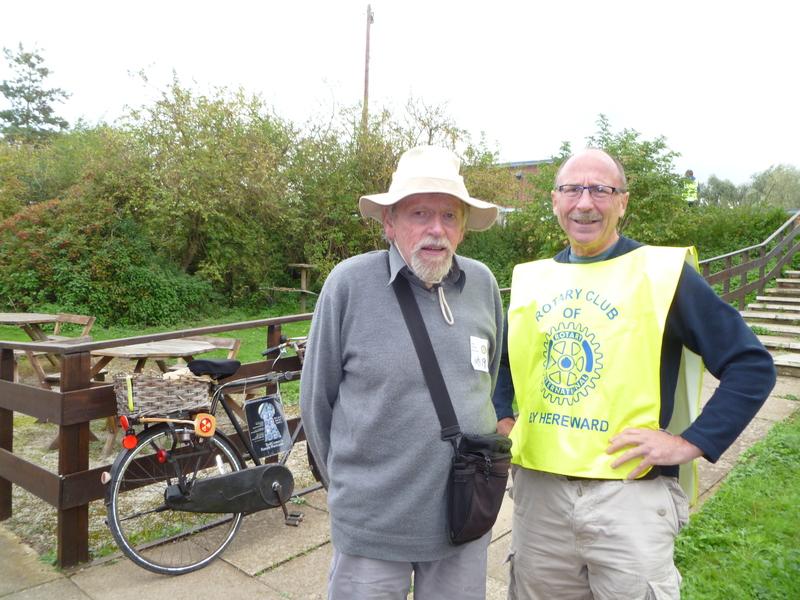 Arrival at Welches Dam, the RSPB Ouse Washes reserve. Ted Coney, our oldest participant, just arrived at Welches Dam. 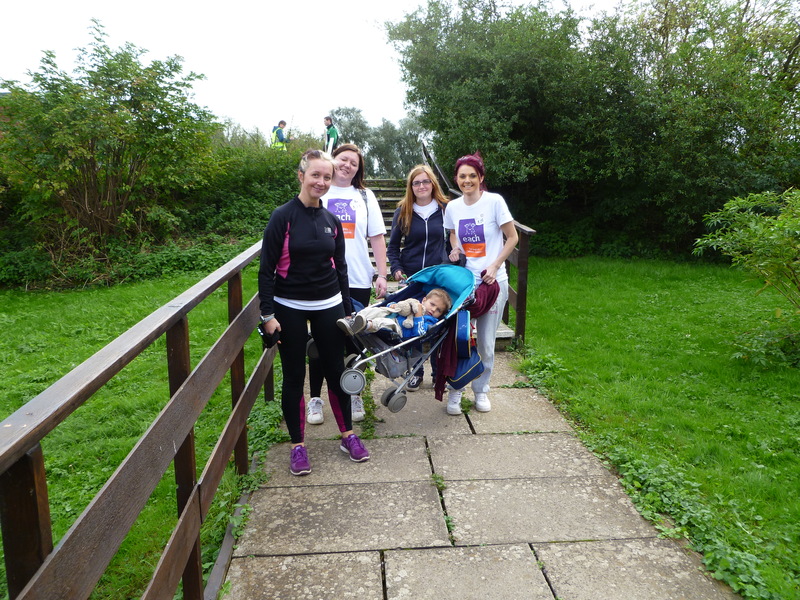 Group of walkers from Specsavers in March, walking for the Each Anglia charity just arriving after a long walk. 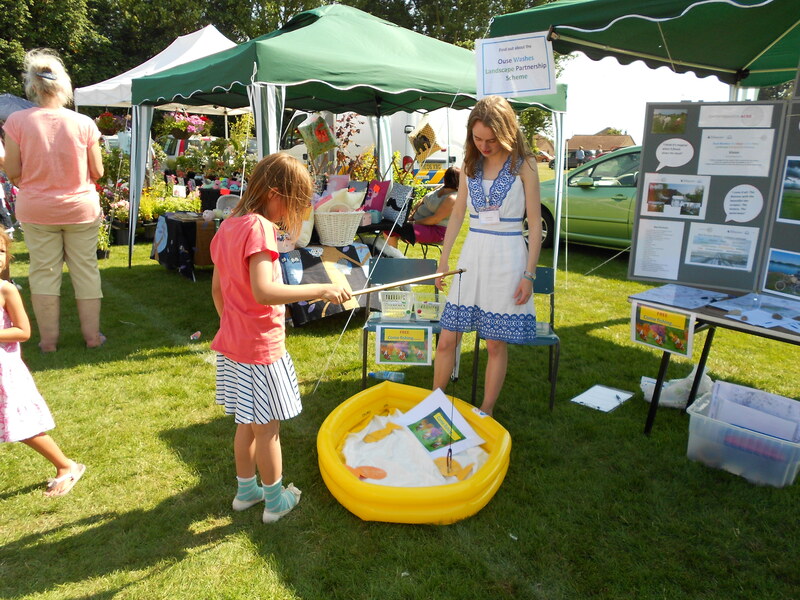 The Ely Standard piece about last year and photos are well worth a look, please accept my apologies for the brevity of this post but I must get on and organise the fishing game, wiggly worm contest and ‘wordle’ that we are taking with us! Today we are launching our Community Heritage Fund, our small grants scheme! 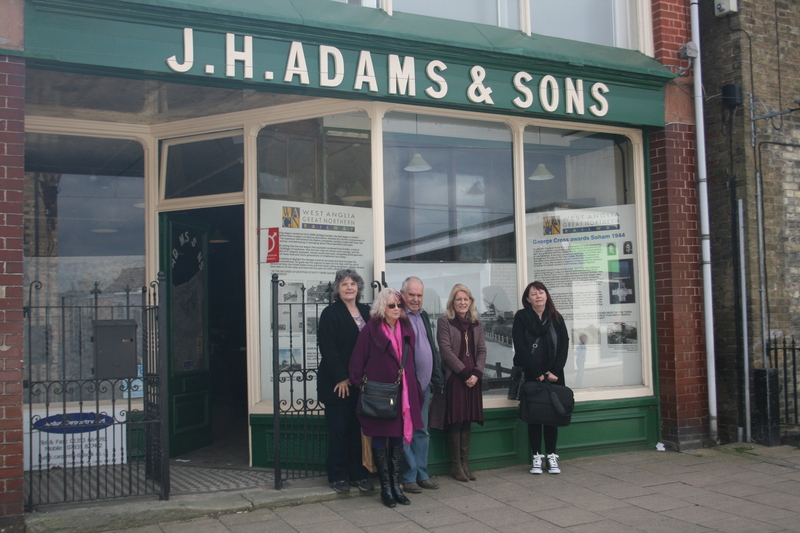 Have you got an idea for a small community heritage project in your local area? Grants of between £500 and £2,000 are now available to help people look after, learn about, extend the understanding of and to celebrate the unique landscape and hidden heritage of the Ouse Washes Landscape Partnership (OWLP) area. Anyone living inside or outside the Ouse Washes Landscape Partnership area is eligible to apply, coming from organisations, groups in the voluntary and community sectors or individuals and local companies. Projects should have clear public benefits, support the OWLP scheme’s objectives, and provide some input into the partnership’s main events, the Ouse Washes Festival Fortnights planned for July 2015 & 2016. Project ideas could, for instance, include the creation of a new circular walk/ village information panel, bringing an area’s heritage to life via an oral history project or walks-and-talks, heritage skills training or passing on land-based management skills to others, or perhaps a one-day community event focusing on the culture or natural heritage of your local area. 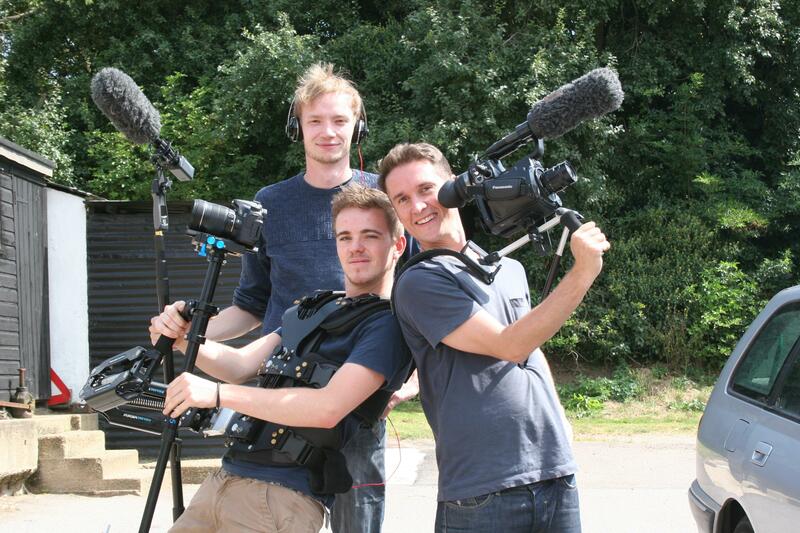 Many other activities could also certainly qualify for a grant; the above is just indicative of the kind of projects we think people might be interested in carrying out. As part of the launch of our Community Heritage Fund scheme we will be touring the area: the Ouse Washes Landscape Partnership team will be visiting four characterful pubs spanning the area to discuss your project ideas. Please come and see us and enjoy a complimentary snack or two! Please find our leaflet here, for the four above events: Community Heritage Fund A5 poster (PDF, 0.5MB) – please hang this up for people to see or pass on to others if you could as well; thanks. We encourage you to contact us if you would like some feedback on your initial ideas; we are there to advise you on your project ideas and to guide you through the application process. 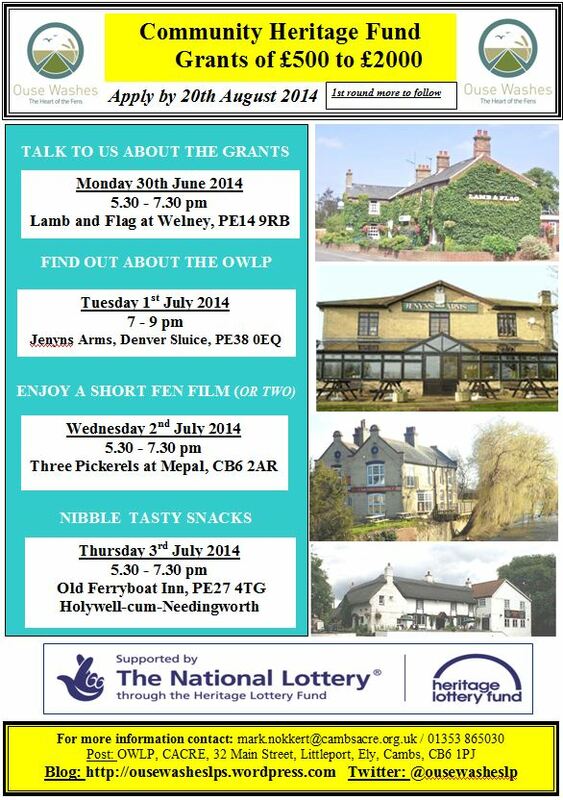 We are looking forward to your project ideas; hope to see you in the pub for one of our pub info sessions! 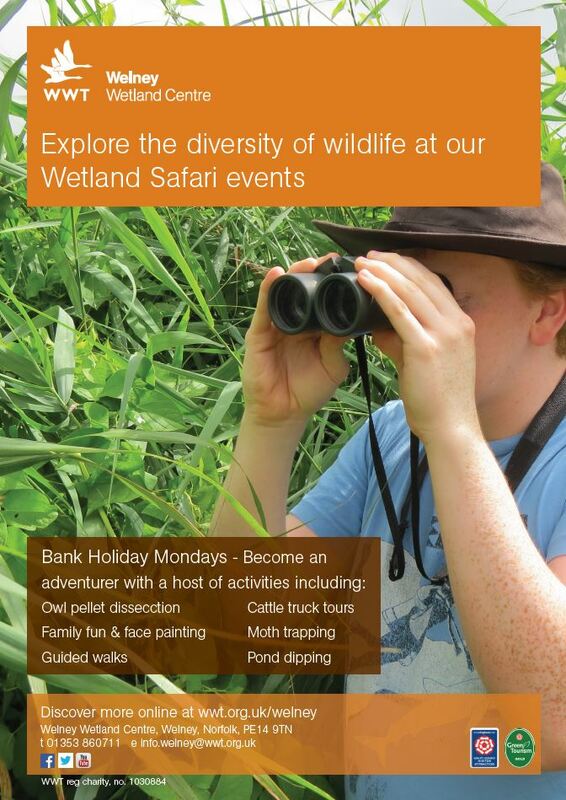 Coming up soon at WWT Welney Wetland Centre: Wetland Safaris!